Al Bendich was an American Civil Liberties attorney and long-time friend of Saul Zaentz, with whom he shared liberal politics and artistic tastes. In 1967 Zaentz invited Al to join him in managing Fantasy Records, which Saul had acquired from its founders. Al came on board as a partner and legal counsel. Over the next 30 years Al helped guide the company through the acquisition of record companies and literary properties for adaptation to film. Perhaps Al’s greatest achievement at the Saul Zaentz Company was negotiating the deal to license the rights to J.R.R. Tolkien’s The Hobbit and The Lord of the Rings for the two hit film trilogies directed by Peter Jackson. Al Bendich was born in New York in 1929. He attended the University of California, Berkeley where he earned a bachelor’s and master’s in Economics and a law degree. Al also successfully defended comic Lenny Bruce against obscenity charges in San Francisco in 1962. Fantasy Records recorded a number of albums for Bruce, whose routines included references to producer Saul Zaentz. 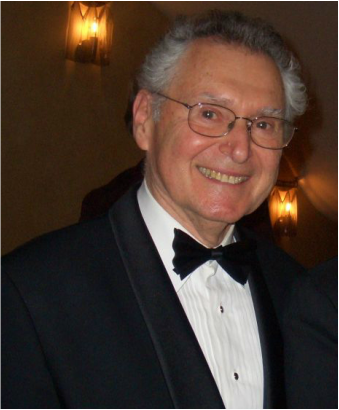 Al Bendich died in Oakland, California in January 2015.